Check out our updated 9/11 Libguide. 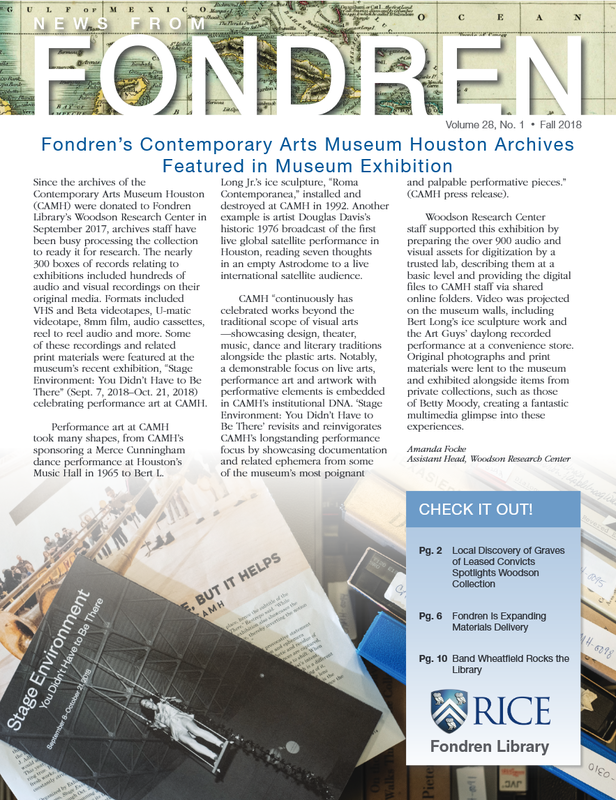 Open to all Rice Students - Come learn about Fondren Library and have fun! Tuesday, August 30th, meet us in the first floor lobby between 7:00pm and 9:00pm to get your bingo card and start exploring what Fondren Library has to offer. Apologies for the inconvenience caused by our first floor renovations. We are planning a beautiful new reading room with lots more places to study and relax.